With a complete investigation, Christ & Partners will have you stop worrying about company espionage. You will know for sure if a resentful employee or a vicious competitor has wired your office, or is tapping your phone to eavesdrop on your conversations with business partners. In a so-called security check, a complete range of services is offered for ‘vital companies’, to add to or to complete the existing regular tracking services. Ask us for the possibilities. 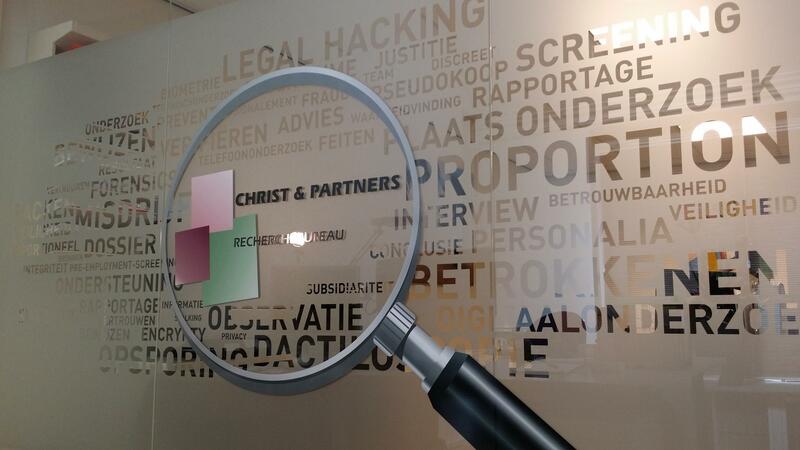 After for example an investigation on an internal theft has been successfully closed, the detectives of 'Christ & Partners Bedrijfsrecherche BV' can do a follow up. By taking interviews, which have the status of a ‘questioning’, we can have those involved give a statement on the undesired, often criminal offences. If you wish to record an important conversation, because it is essential, or because you are being threatened, do not wait any longer, and contact Christ & Partners. We will record everything for you in a clear way. Observations are mainly meant to gather evidence. After an inventory taking of the case, the strategy will be determined. Observation can be done in person, by foot, bicycle or by car. All facts will be recorded with legally approved means. There will be an extensive report regarding the observation, that could be used as evidence during the court session. You want to test and check your staff, but discretely? The Christ & Partner mystery guest will visit your store(s). After that, we will report our findings to you. Would you like more information about our tactical investigation? For a free consultation or more information, please contact us by filling in the contact form. Interested in our services? We look forward to hearing from you!